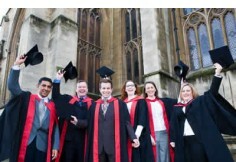 The MBA is recognised across the world as the premier qualification for business leaders. Our MBA is accredited by the Association of MBAs and is one of a limited number of UK programmes that have been awarded this accolade. Studying for our AMBA-accredited MBA sets you on the road towards senior management. It puts you in a position to make a major impact on the success of your organisation. It gives you the skills needed to improve business performance, achieve change, bring out the best in people, boost profitability and deliver long-term success through innovative strategic thinking. An MBA from Bristol Business School will give you the skills and insight needed to take that vital step up the management ladder and help develop your personal skills and vision. You'll benefit from: -a curriculum that encourages intellectual growth and holistic thinking, combining the latest ideas and research with a practical approach. You'll also be able to specialise in areas relevant to your career; -extra-curricular activities focused on your individual needs and designed to help your personal development; -an ethos and culture based on hard work, openness and innovation. It's a friendly environment, one where exceptional students come together to learn, share ideas and build contacts. You can choose to study for the MBA as a full-time course or part-time by block release (in blocks of four days) while continuing to work. Building on the expertise developed in the six core modules, you choose two electives from a wide range, write a dissertation and add additional courses as required. In this way, you build an MBA designed around your career, your organisation and your future. The programme offers full-time students the flexibility of returning to work after the taught part of the programme and conducting a collaborative dissertation with an organisation. Personal Development Process (PDP) is an integral part of our MBA programme which aims to encourage and support reflective learning and confidence in setting and achieving personal goals. Extra curricular activities within this process provide you with an opportunity to develop your spiritual intelligence including the ability to deal with complexity in business, cope with stress and inspire others. Traditional lectures will only be one part of your course. You'll also learn through syndicate work, group and individual presentations and discussion, student-led seminar groups, analysis and application of case studies as well as experiential learning and simulations including role-plays. 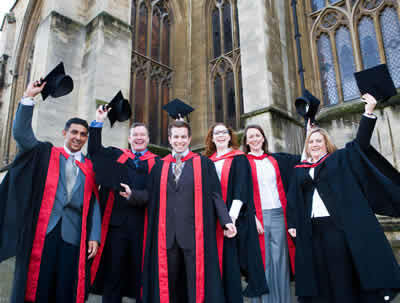 Guest speakers from industry and professional bodies also regularly contribute to the MBA programme. These innovative methods create an environment that is enjoyable, varied and hugely effective. Assessment is by a mixture of work-based assignments (supervised mini projects), examinations, presentations/vivas and the dissertation.